Chandlers Used Fendt Tractors are pleased to be able to offer you a handy Finance Calculator tool from our Finance partners AGCO Finance. 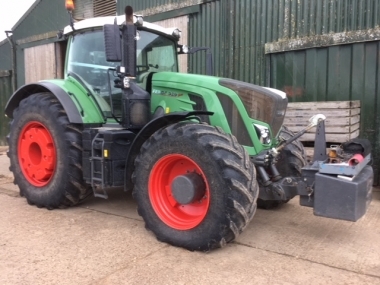 This finance calculator can be used to work our some typical Hire Purchase finance figures for the purhase of a Used Fendt tractor in the UK, by a farming business supplied by Chandlers Used Fendt Tractors. The figures provided are typical rates and are subject to status, credit approval and change at any time. Full terms and conditions and finance options can be discussed with your local AGCO Finance area representitive who will be happy to assist you and provide a personal tailored quotation. 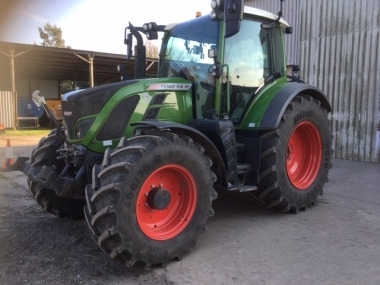 Chandlers Used Fendt tractors in partnership with AGCO Finance have provided this handy Finance Calculator for the provision of a guide to the typical repayments required on an Hire Purchase agreement to finance the buying of a Used Fendt Tractor. 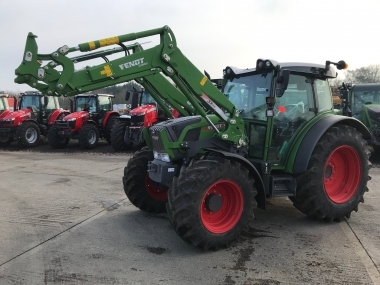 All finance figures shown are typical values, and are subject to status and credit approval by AGCO Finance and are provided as a guide only to allow you to assess the affordability of a Fendt tractor you have seen advertised. The rate shown may change at any time, and this handy finance calculator guide does not constitute an offer of finance. To use the Finance calcluator, you will need to fill in the amount to finance (tractor price), the deposit you will be providing (this can be the value of your trade in tractor, or a cash deposit you wish to put down), the period of borrowing and the frequency of the repayments. As this is only a simple calculator the options are restricted to simple repayment profiles, however your local area AGCO Finance representitive will be happy to discuss your borrowing requirements to provide the most suitable re-payment profile to meet your cash-flow needs. 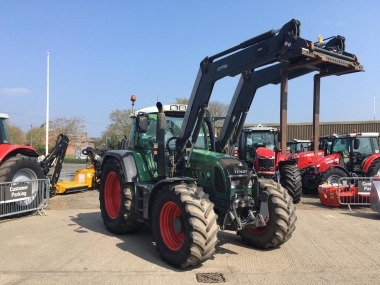 As with all borrowing full terms and conditions apply, and these will be provided by your local AGCO Finance representitive on a personal quotation if you wish to go ahead with the purchase of a used Fendt tractor using AGCO Finance. To recieve your Finance Calculator guide result you simply need to fill in the form below, create a simple login to our site (or use your existing login if you are already a registered member of the Used Fendt Tractors website), and the details you fill in on this form will then be shown instantly online. We will also send you an email as a record of the details of the finance calculator guide result.